Don’t like Play Music? Try DoubleTwist Music Player. A lot of people find the features of Play Music limited. The interface is not the best `either. We have found an amazing alternate to it. It is called DoubleTwist and it is one of the most popular music player on the Google Play store. It has an eye pleasing interface with notification controls and a lock screen widget. The application is quick and it’s free any major hiccups. It is just the best on the market, our guarantee! A thing we noticed is that the LWP section in the Play Store is strange. They are not well categorized and some are not even LWPs. Great webpages our springing up for LWP. One of the best and my personal favourite is ‘www.topandroidwallpapers.com‘. It is a great website. The interface clean, smooth and easy to use. They even develope their own LWPs whichis quite cool! Be sure to give them a visit if you love LWPs. we love their site. Dead Trigger 2 is an excellent game which is free to play and we have downloaded it just a week ago. We have been playing it ever since. This game has impressed us to no limits like the previous version. The game has impressed us in terms of several crucial factors. One aspect that is in mind would be the graphics which were superb on our Nexus 7 and expected to be much better on the higher performance devices such as the Nexus 5, Note 3, and Z1. Now let’s discuss the game play. It feels like a game we would pay $50 for, on a console. When we start the game we see an elaborate screen where we can go to USA (campaign) or the hideout where we can make medicine or guns. The guns are realistic and just so smooth. So hats off to Madfinger games for developing an amazing game. Android can be made to look like just about anything. 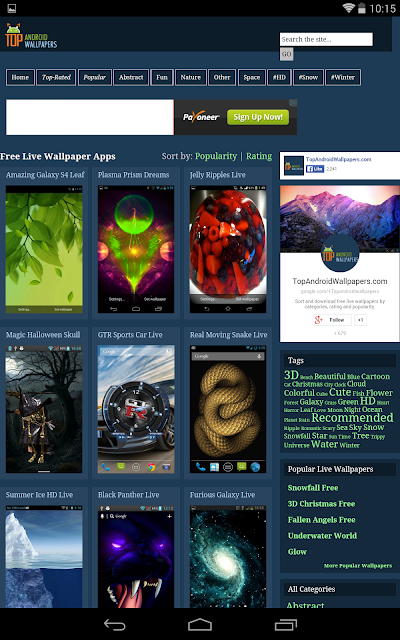 Different launchers can be downloaded from Google Play that are designed to be light-weight or made for simplicity. Different icon packs give combined with different launchers give your android phone a uniqueness like no other. There a wide array of different android phones out there. Phones built to last, built to be cheap, built to be premium or built for emerging markets. In the world of android you can choose from different flagships or budget models, each with it’s own strong points. Android allows a user to do many more tasks than iOS. It allows more video formats. It allows the integration of different apps into the operating system. A user choose an alternate as the default app to almost every stock app.